Santa Barbara Smokehouse, Santa Barbara, CA, is voluntarily recalling all smoked salmon from March 1st-Apri 8th 2015 for potential Listeria monocytogenes contamination. Cambridge House, Coastal Harbor, Harbor Point, North Shore S.F. Specialty, Channel Islands, and Santa Barbara (Along with the following batch range of 1015 – 3949). No illnesses have been reported so far, and the recall is initiated as a precautionary measure. 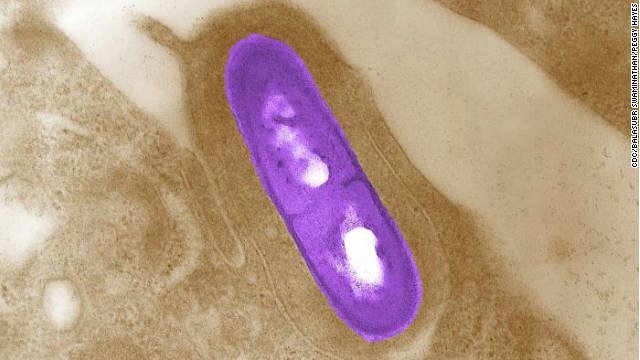 v Unlike most bacteria, Listeria can grow and multiply in some foods in the refrigerator. If you suspect contaminated smoked salmon in your fridge, please discard. Consumers are requested to contact (805) 966-9796for further information. 2. Scallan E, Hoekstra RM, Angulo FJ, Tauxe RV, Widdowson MA, Roy SL, Jones JL, Griffin PM. Foodborne illness acquired in the United States--major pathogens. Emerging infectious diseases. 2011, 17(1): 7-15. 3. Centers for Disease Control and Prevention. Vital signs: listeria illnesses, deaths, and outbreaks - United States, 2009-2011. MMWR Morbidity and mortality weekly report. 2013, 62(22): 448-52.